Started by a passion for creating elegant homewares suitable for everyday use, Fenella Smith established her company in 2011. 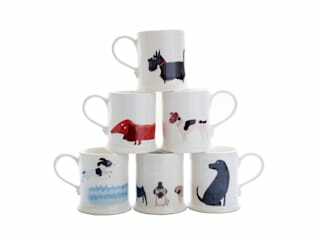 Since then, her delightful designs have been translated for ceramics, textiles and stationery. These collections continue to expand, and wherever possible, Fenella uses natural materials and local manufacturers. The ceramics are made from earthenware, the textiles are made in England, while the stationery is printed on FSC accredited stock.